chart 04.01a and chart 04.01b, chart 04.02, chart 04.03 and chart 04.04, chart 04.05a and chart 04.05b : in May 2016, exploitation of management files on higher education teaching staff (RH-SUPINFO and GESUP2) and the survey of non-tenured teachers carried out in higher education institutions by the Department for Workforce Studies and Human Resource Analysis at the Directorate-General for Human Resources (DGRH A1-1). The resulting numbers of potential teacher-researchers and teaching staff represents active staff, with or without tenure. Those who are on secondment in a different establishment from the one to which they are posted, who have been placed on 'availability' or are on holiday, are therefore excluded. In 2015-16, 92,200 teachers were working in public higher education establishments under the responsibility of the MENESR. Three-quarters of these teachers are employed in universities and 39% of tenured-teachers are women. In 2016, 92,200 teachers were working in public higher education establishments under the responsibility of MENESR. France therefore had 17.3 students per teacher in higher education compared with an average of 15.8 in the OECD countries. 61% of teachers working in higher education belonged to the corps of tenured teacher-researchers (and equivalent). 24.5% were non-tenured teachers and 14% were secondary education teachers (chart 04.01a). Three quarters of these teachers were appointed to universities, including 13% in University Institutes of Technology (IUT) and 3% in the ESPE (Higher Schools for Professorship and Education). The remaining 8% were teaching in other types of institution (engineering schools, écoles normales supérieures (higher education establishments), etc.) (chart 04.01b). Secondary education teachers were over-represented in IUT (29%) and ESPE (11%). The split for tenured teachers-researchers was one third university professors (PR) and two thirds lecturers (MCF). The majority of them were assigned to Science and Technology (45%) and Arts and Humanities (27%), then Healthcare and Law, Economics and Management (14% in each discipline) (chart 04.02). The average age of professors and lecturers was 53 years and eleven months and 45 years and seven months respectively. This gap is linked to career advancement. Professors are recruited predominantly from the corps of lecturers. Secondary education teachers were 49 years and one month old on average (chart 04.03). Non-tenured staff included doctoral students under contract carrying out teaching duties (32%), temporary teaching and research assistants (20%), non-tenured teachers in the university hospital fields of education (22%), associated teaching staff (10%), guest teachers (8%), foreign language readers and teachers (4%) and teachers under contract in vacant secondary education posts (4%). Of the secondary education teachers assigned to higher education, 54% belong to the corps of “qualified teachers (empowered at national level), 35% to certified teachers and 11% to other categories (teachers in upper secondary vocational schools, teachers with special status, etc.). They mainly teach Economics and Management, Languages and Literature, History and Geography, Mathematics, Mechanics and Physical Education and Sports Science and Techniques (STAPS). The total number of teachers in higher education has increased by 29% over the last twenty years, from 75,900 in 1996 to 92,200 in 2016 (chart 04.05a). The highest growth rates in this period were for the numbers of non-tenured teachers (+55%), followed by lecturers (+25%), secondary education teachers (+18%) and professors (+15%). The total number of teachers in higher education increased mostly during the 1990s (+26% from 1996 to 2006), in support of the significant rise in student numbers during this period. Numbers then stabilised in the 2000s (+2% from 2006 to 2016). In 2016, 35% of tenured teachers were women (chart 04.04). They were more secondary education teachers (46%) and lecturers (44%) than professors (24%). The proportion of women has been increasing regularly over time (about 0.5 points a year). By way of comparison, in 1996, secondary education teachers and lecturers counted 36% women, with 14% women professors (chart 04.05b). There are relatively fewer women in universities teaching Sciences and Technology (28%) and Healthcare (32%) than Law, Economics and Management (43%) and Arts and Humanities (51%). Regardless of the field of education in question, there are proportionally fewer women professors than lecturers (chart 04.02b). 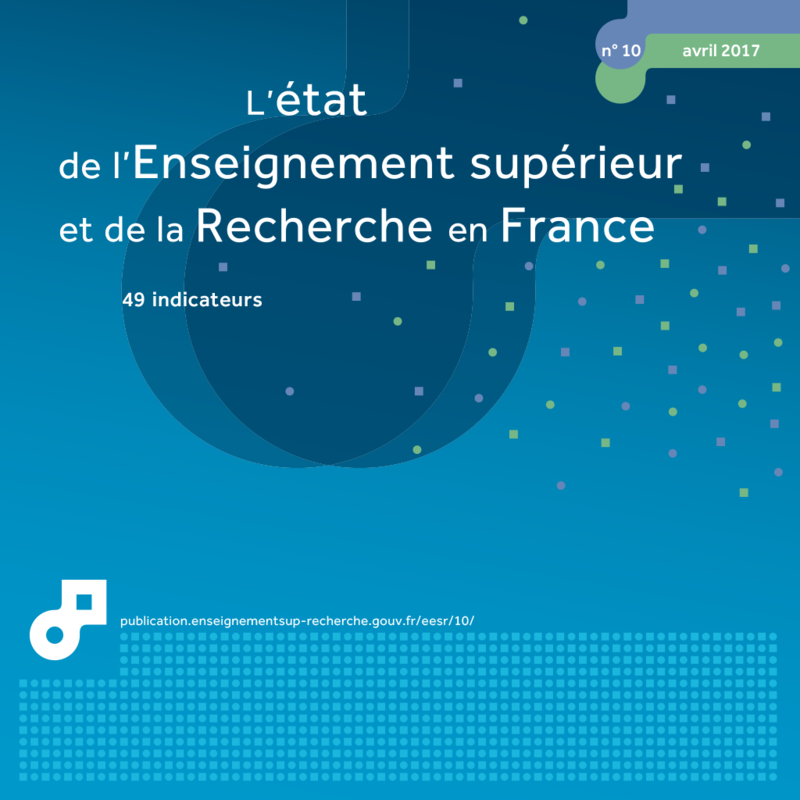 Extract from the chapter "04. teaching staff in public higher education under the responsability of the french ministry of education, higher education and research".